By Azwan Jamaluddin in Desktop. Updated on November 7, 2017 . You may be using a password to secure your data on your Mac – and you should, but unless your Mac is encrypted, a tech-savvy thief can still access your data by booting into recovery and resetting the password. They can then swap the drive and use or sell the computer as if it was brand new. Why give them the satisfaction? Set a Firmware password to prevent the password from being reset, or being bootable from another drive – rendering your computer useless in hands that are not yours. What Is A Firmware Password? A firmware password refers to a password that is set within the Mac’s EFI firmware, separate from the OS itself. When configured, it prevents the Mac from booting into anything other than the default drive without using a password. What this means is that your Mac cannot be booted into Recovery Mode, Single User Mode, Target Disk Mode, or an external drive. This will give you a higher degree of security for your Mac as your OS password cannot be reset easily and your data remains protected. When used with an encrypted drive, this will ensure that your data will be impenetrable. The thief also cannot swap the drive and use the Mac as a brand new computer as the firmware password will disallow any disk except the original boot disk to configure it. In order to set the Firmware Password, you will need to boot into Recovery Mode. To enter this mode, hold down CMD + R when your Mac is booting. If successful, you will be taken to the Recovery Mode menu. 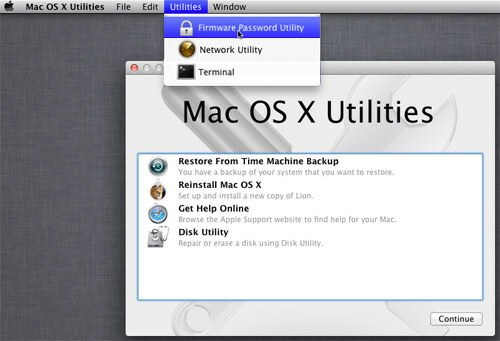 Once in this mode, go to the menu bar at the top of your desktop and click Utilities > Firmware Password Utility. A prompt will appear asking you to Turn On Firmware Password. Click on it and the utility will ask you to create a password. Enter the password of your choosing and verify it. Note that this particular password is very important to remember. There is no way to reset the password short of going to an Apple technician (though some pre-2012 Macs can be reset using a hardware hack). Once you are satisfied with the password to use, click Set Password. Your Mac firmware password is now set. To test it, boot into Recovery Mode or any other drive other than your default startup disk. 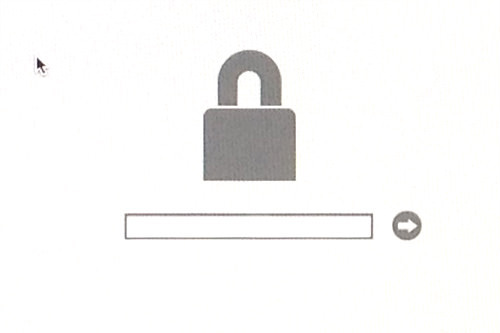 Your Mac will ask for the password before you can proceed.